The operator of Japan's crippled Fukushima nuclear power plant says it will launch a new task force to deal with the massive leakage of radioactive water. The operator of Japan's crippled Fukushima nuclear power plant on Monday said it will launch a new task force to deal with the massive leakage of radioactive water. Naomi Hirose, President of Tokyo Electric Power Company (TEPCO), made the announcement Monday in Fukushima following a tour of the crippled facilities with Japan's industry minister Toshimitsu Motegi. Hirose began the news conference with an apology. "Contaminated water has been leaking from tanks. What should never happen, has been happening, and we deeply apologise for the repeated worries that we have caused. We are very sorry," he said. Hirose also said he will be heading the task force in person. Measures announced during the news conference include thorough assessments on the tanks from where contaminated water has leaked, increasing the number of workers patrolling the tanks from the current nine workers to 50 workers, and using thermography measurements to assess the amount of water in each tank daily. "On our part, we will put in the personnel and equipment necessary on the ground to firmly deal with the problems with the tanks. We understand that this is a very significant task, and we will firmly deal with this," Hirose said. The utility also said it will step up efforts to assess the extent of underground water contamination and prevent leakage into the sea. The leaks have shaken confidence in the reliability of about 1,000 tanks that are crucial for storing water that has been pumped into three damaged reactors to keep their radioactive fuel cool. At least five of the tanks at the plant on Japan's northeastern coast have leaked. 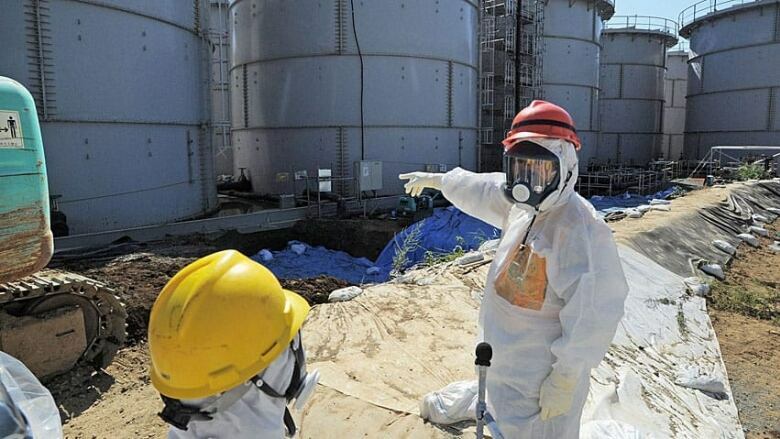 Last week TEPCO said 300 tonnes of highly contaminated water had flowed from one tank, in the worst leak so far. Most of the water is thought to have seeped into the ground, but some may have entered the sea through a rainwater gutter, it said. The tanks contain nearly 300,000 tonnes of partially treated radioactive water. TEPCO plans to build more tanks to store another 800,000 tonnes of water, which combined with plans to pump out uncontaminated underground water should prevent the situation from becoming dire for another three to four years.